Engage in conversation about career opportunities in 21st-century libraries and cultural institutions with a distinguished panel of University of Miami Library administrators and postdoctoral fellows, whose research interests include the humanities, social sciences, and sciences. Listen to their stories, learn about strategies to explore careers in libraries and archives as well as fellowship opportunities, and ask them your questions at this interactive session. Dr. Eckman previously served as university librarian and dean of library services at Simon Fraser University (2010-13), director of collections at the University of California, Berkeley (2006-10), and principal government documents librarian and head of the social sciences resource group at Stanford University (1997-2006). Dr. Eckman has managed and consulted for several digital library initiatives. He has served on the board of directors for the Association of Southeastern Research Libraries, Canadian Association of Research Libraries, and Canadian Research Knowledge Network; he also served on the Depository Library Council to the Public Printer. Dr. Eckman’s research interests include information policy, open access initiatives, digital scholarship, and the evolution of scholarly communication. He holds an MLIS from UC Berkeley, a PhD and MA in Politics from Princeton University, and a BA in Political Science from Indiana University. Dr. Miller earned a PhD in Slavic Languages and Literatures at the University of Michigan and held a Council on Library and Information Resources (CLIR) Postdoctoral Fellowship at the University of Virginia. 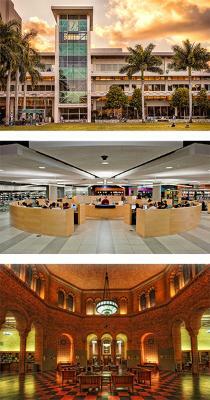 Prior to joining the UML, she worked at UCLA Library. Tim Norris is a second-year Council of Library and Information Resources (CLIR) Postdoctoral Fellow in Data Curation at the University of Miami Libraries. He earned a PhD in Environmental Studies (a.k.a. Geography) at the University of California, Santa Cruz (UCSC). Prior to his doctoral work at UCSC he started and maintained a small development NGO in Peru. Martin Tsang serves as a liaison librarian for faculty and students in History and Area Studies. Martin is working to develop print and digital collections, provide consultative and instructional research support services, and assist the Libraries in designing a new model for transformative library engagement with our research and teaching communities. Martin is an anthropologist and received his PhD at Florida International University. He was awarded fellowships at the Cuban Heritage Collection for his doctoral dissertation that focuses on the Chinese Cubans. Prior to his position at UML, Martin was a postdoctoral research fellow on a National Institutes of Health-funded project investigating HIV, drug use, and the tourist industry in the Dominican Republic using a "syndemics" framework. Professors William Walker, Perri Lee Roberts, and Nathan Timpano will discuss major art information resources and libraries, their unique and important collections as well as their fellowship programs. Special focus will be given to resources at the Getty Research Institute, the Frick Collection's Art Reference Library, and the Metropolitan Museum's Watson Library. The session will also include recommendations for finding images for research and publication, processes for obtaining rights and permissions, and hints on the most cost effective resources to consult. Humanities resources in our own backyard are frequently overlooked. Join Professors William Walker and Robin Bachin to explore resources which complement UM collections. Discussion will include collections at HistoryMiami, Vizcaya, the Black Archive, the Stonewall Archive, and the Miami Dade Public Library. Located in Washington, DC and in major cities across the United States, the National Archives is a rich resource for humanities scholars and historians. This seminar session provides an overview of the holdings of the National Archives, their access policies, and recommended strategies for research. This session also looks at the roles of national archives vs. national libraries. Important overseas archival programs also will be discussed. PDF is password protected. Password is provided after registering for the event. Editing and publishing sometimes seem mysterious, like the genie in the machine. Drawing on his experience as a long-time journal editor, working on a Norton anthology, and editing several book collections, such as The Critical Pulse: Thirty-Six Credos by Contemporary Critics (Columbia UP, 2012), Jeffrey Williams will discuss the ins and outs of this other side of scholarship. He will also talk about writing for public rather than academic venues, and the critical interview, which has become a much more common mode. Jeffrey Williams is Professor of English and Literary and Cultural Studies at Carnegie Mellon University. He has published widely on the history of the novel, contemporary American fiction, the history of criticism, and the American university. He regularly publishes in magazines such as Dissent and The Chronicle of Higher Education, as well as academic journals. His books include PC Wars: Politics and Theory in the Academy (1994); The Institution of Literature (2001); Critics at Work: Interviews (2004); Theory and the Novel: Narrative Reflexivity in the English Tradition (2009); and How to Be an Intellectual: Essays on Criticism, Culture, and Politics (2014). 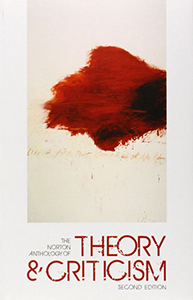 He is one of the editors of The Norton Anthology of Theory and Criticism (2001; 2nd ed. 2010), and also served as editor of the Minnesota Reviewfrom 1992 to 2010. Mark Salber Phillips is Professor of History with a cross appointment in the Institute for Comparative Studies in Literature, Art, and Culture at Carleton University. 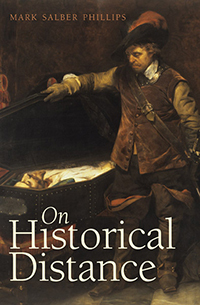 He is the author of many books, including Society and Sentiment: Genres of Historical Writing in Britain, 1740-1820 (2000) and On Historical Distance (2013), awarded the 2014 Wallace K Ferguson Prize given by the Canadian Historical Association. His current research includes philosophy of history and historiography, intellectual history, and European historical thought in the Renaissance, Enlightenment, and the late twentieth century. 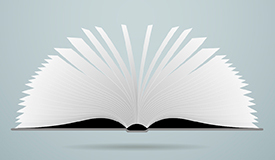 Have you ever considered transitioning from the academy to a career in scholarly publishing? This overview of publishing outlets for scholarly work in the humanities will address topics such as: today’s scholarly publishing landscape, and possible career pathways from academia to publishing. Adina Popescu Berk is Senior Editor and Group Lead in Humanities and History in the Reference group at Oxford University Press. She has been an editor at Cambridge University Press, Basic Books, Westview Press, and HarperCollins, and her editorial career has spanned the breadth of scholarly publishing, including reference, monographs, textbooks, trade books, and journals. She holds a doctorate in history from Columbia University. Matthew McAdam is a Senior Acquisitions Editor at Johns Hopkins University Press. He acquires and commissions academic monographs, course books, and trade titles throughout the humanities focusing in particular on literary studies, classics and ancient history, intellectual history, and the history of science. 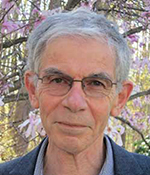 Prior to joining Hopkins in 2009, he was the philosophy editor at Lexington Books, an imprint of Rowman and Littlefield Publishers. He has a doctorate in philosophy from Georgetown University. An overview of publishing outlets for scholarly work in the humanities. What do editors look for? How should I decide where to publish my work? How to approach editors? How do I write a book proposal? These and any questions you bring will be the subject of this seminar. What will the university press of the future look like? This panel will begin by laying out the current status of academic publishing (e.g., impact of the e-book; declining library sales; consequence of the acquisition of presses by conglomerates); it will then turn to discuss prospects for the future (e.g., publishing on digital platforms that enable interactive features; open access). Topics to be addressed include coming changes in the nature of publishing operations, business models, and organizational contexts. 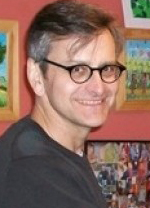 Peter Berkery has been Executive Director of AAUP since early 2013. He was previously Vice President and Publisher for the US Law Division at Oxford University Press. Berkery has a BA in Classical Studies from Boston College, and an MA and a JD from The American University, as well as a Master of Laws in Taxation from George Washington University. Peter Potter, who was editor-in-chief at Cornell University Press since 2006, became Director of Publishing Strategy for University Libraries at Virginia Tech in January 2016. Before Cornell, he worked at The Pennsylvania State University Press as editor-in-chief and associate director, and held editor and acting director positions at the Wesleyan University Press. Throughout his nearly 30 years in university press publishing, Potter has been a leader in efforts to integrate new technologies into scholarly publishing practices, specifically working to leverage the complementary strengths of a university press and a university library to elevate faculty research, for example by helping to launch the Office of Digital Scholarly Publishing at Penn State--one of the first centers to be jointly sponsored by a university library and a university press. He received his bachelor's degree in history from Virginia Tech and his master's degree in history from the University of Virginia.